When visiting conservative countries like India, Bhutan, Dubai – you might want to stay on the safer side when it comes to your sartorial sense. As most of the countries are in the throes of great change, it is best to remain cautious and dress according to their respective cultures. Some areas might just be tough to navigate through when it comes to what you’re wearing since some people can be super prudish, especially in some of the less metropolitan areas, which also happen to be more touristy. Moving around in 45 degrees temperature in a pair of tight-fit jeans can be the most horrendous solution! So you don’t really have to stuff yourself into a pair of jeans. If you’re looking at a quick and easy checklist to keep you safe on your visit, here’s what you can expect and adhere to when it comes to packing for conservative countries! Just PERFECT for your conservative country escapades! These are cool, these are comfy, and these are extremely stylish! 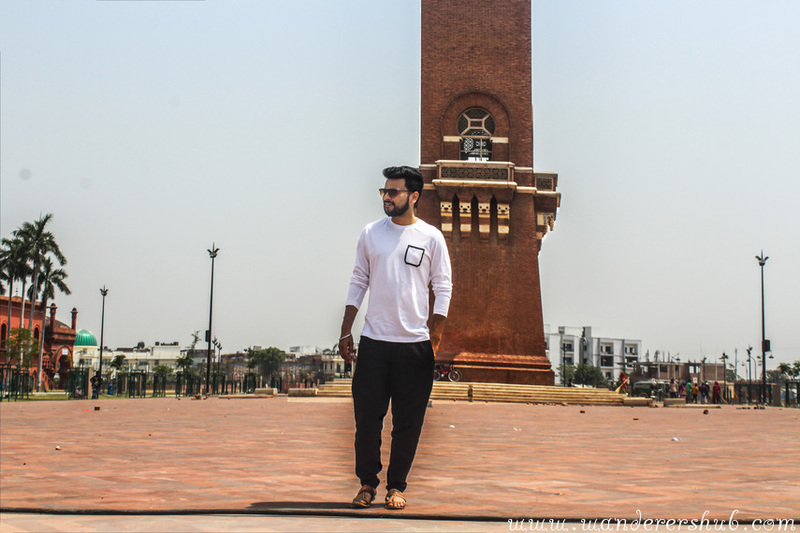 Team up your kurta/kurti with anything comfortable on the bottom and put your best step foot forward. This was the easiest look to put together! Hail Kurtis! A long shirt paired with a nice short jacket or a belt can work wonders as well! 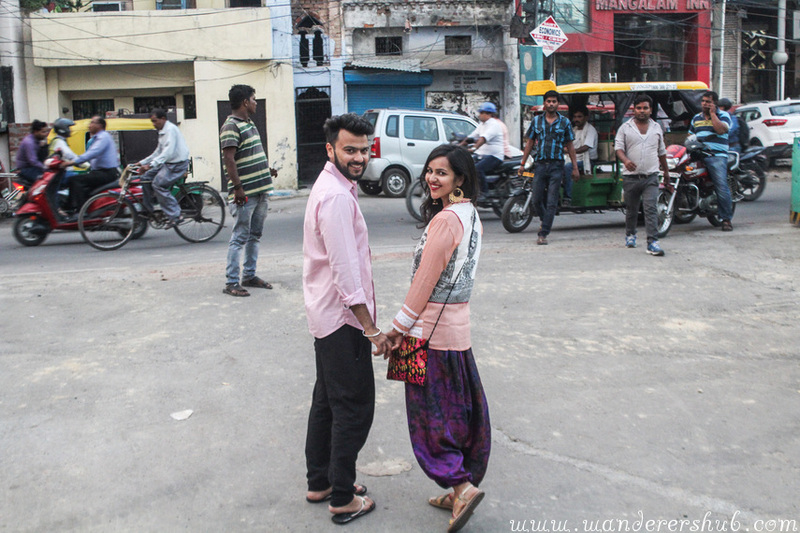 I am a big lover of loose pants – I swear by them for summers in India. Most of the times I pick the ones made of natural fabrics and do not hesitate to wear them during long hour flights as well. 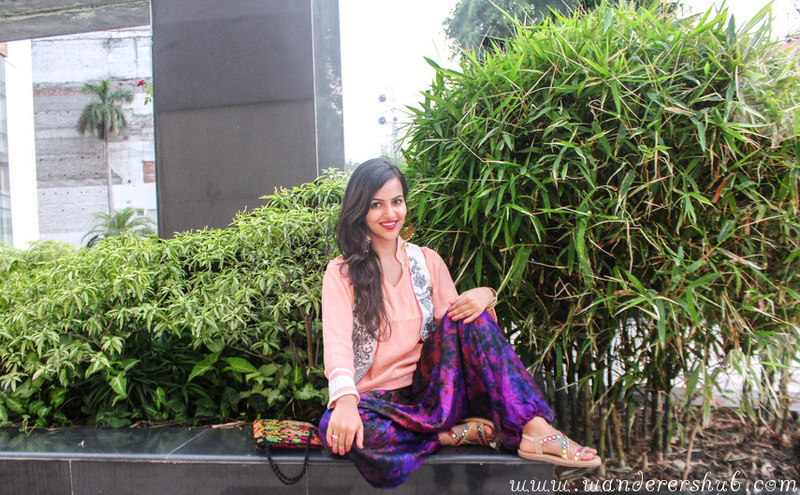 An Indian woman staple, Salwar Kameez can keep you cool and comfortable on the go. 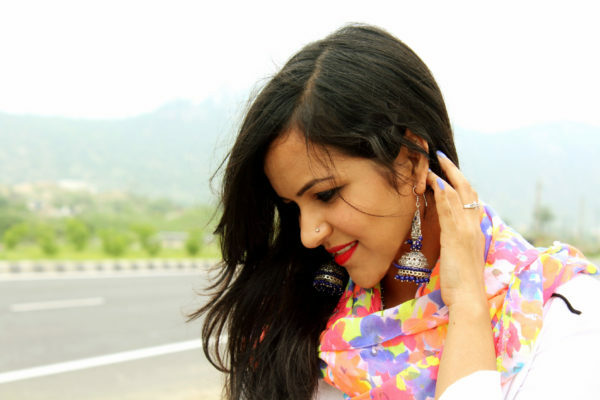 Just pair your salwar kameez with a nice dupatta or stole and you are good to travel around carefree. 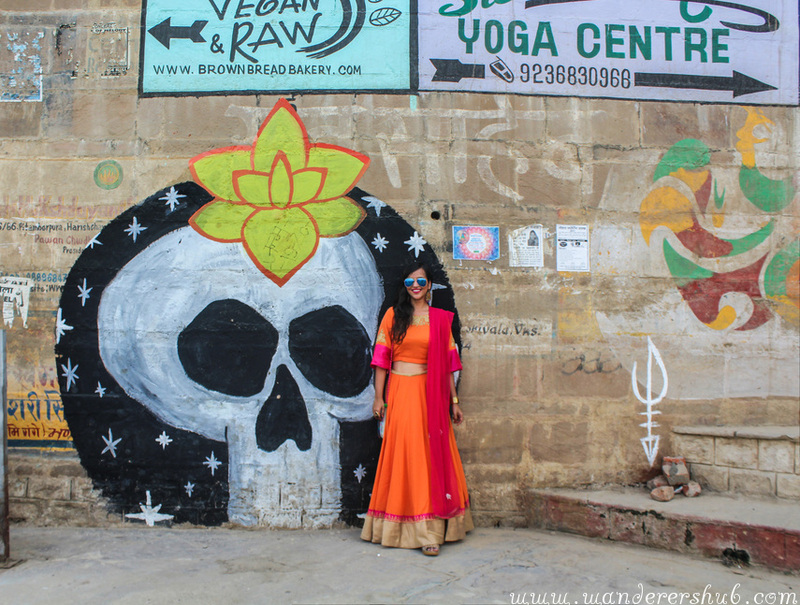 Or if you do not wish to invest in a salwar kameez, just put together a boho look like me (a Kurti teamed up with loose pajamas and a colorful dupatta I picked up from Jaipur). They look and feel every bit of a skirt but have added ghera (girth) to them. 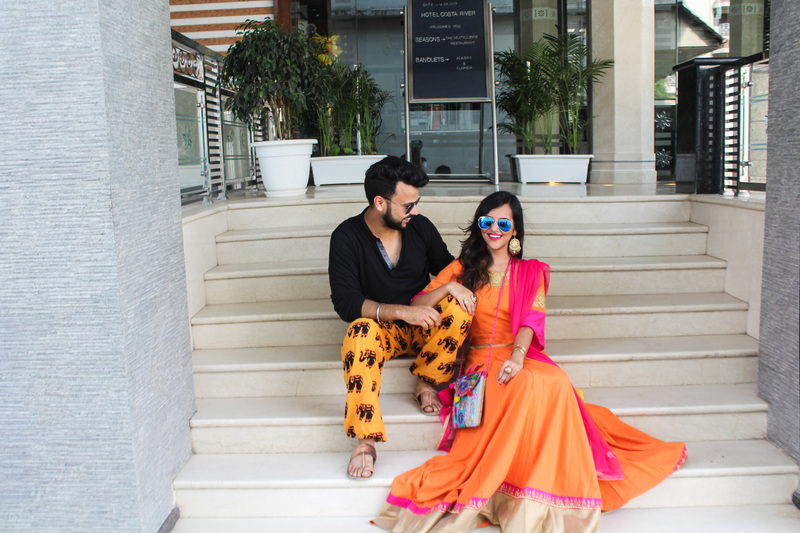 I personally love prancing around in ghagras as they make for one of the comfiest yet stylish Indian traditional attires – just perfect for the conservative societies! Don’t wear mini skirts or teeny tiny shorts on an excursion! Especially when you’re going around the city, be it any city at that, wearing something that exposes a little too much is not a good option since you’ll be taking it rough and tough while traveling. 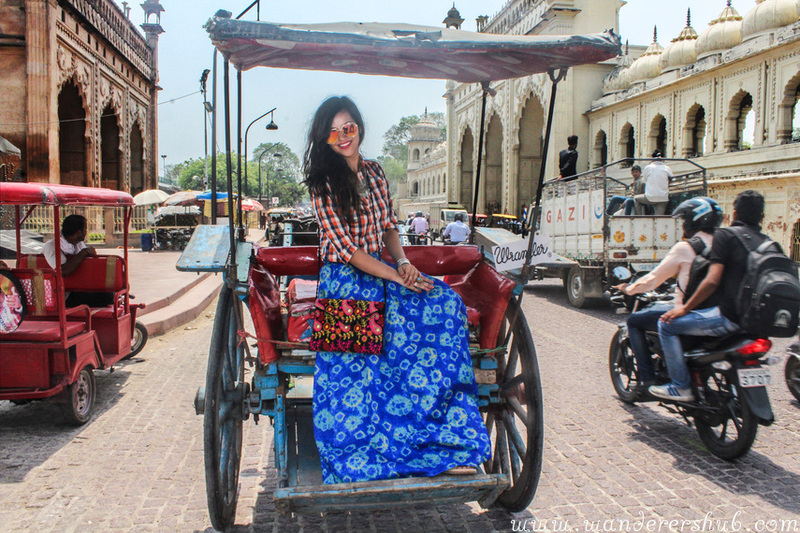 Do wear cotton skirts that are long and flowy! Not only do they look uber cool and modest, but they also keep the heat away. Sarongs, scarves, and handkerchiefs can be your saviors so make sure you pack those colorful beauties in abundance. Don’t wear clothes that fit too tightly- although this goes for the women as well. Men, leave those super tight skinny jeans back home and spare people the sight of those ill-fitting parts. Besides, most places are too hot for wearing jeans in the summer. Don’t wear shirts or T-shirts made out of flimsy, transparent cloth that makes your insides all too visible to the naked eye. Do remember to carry a handkerchief when visiting holy places, to cover your head. Also, avoid wearing shorts to such places, and go for cotton pants instead. This all might seem too overwhelming for the travelers as adhering to these ‘rules’ while keeping it stylish can be tough. But there are SO many gorgeous destinations which are way too conservative that it’s not worth missing out on them all because of a dress code. Just a little bit effort and a tinge of kitschy and quirky travel clothes for women with colorful accessories can add life to your packing for the conservative countries. So put your most adventurous and boho foot forward, go get exploring without anything to worry in the world. Have you been to a country where dressing modestly was extremely essential? 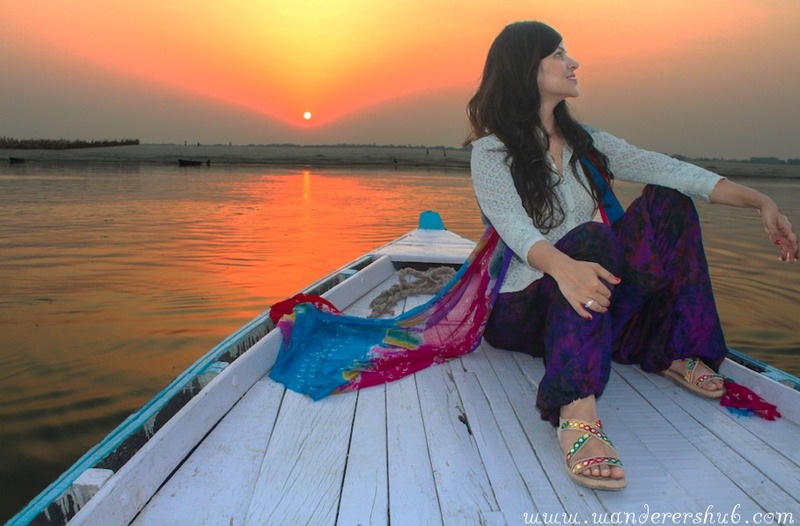 Are you planning a visit to India? Read all our posts on India here! You two look so stylish! These are really great tips. I ALWAYS hear people ask about what’s appropriate to wear to fit in well with the culture, and I love that you also chose pieces that will keep you cool. This is super helpful! It’s always hard to know what to wear in different countries. You make each outfit look so pretty and comfy! Besides being nice, kurtas will keep you cool as well! And yes, it’s really important to respect the culture of other countries! Thanks for this. Everyone should observe and respect other country’s culture especially when it comes to what needs to be worn. On a lighter note, you guys can get into traditional clothes but manage to make it look so chic. For conservative places, a designer scarf or stole is always a good idea. Love all your outfits and you have completely nailed it! You both look great and I love the idea of loose outfit on a bright sunny day. Very vibrant and nicely done! You guys look super cool and trendy in those vibrant outfits. And it is the best way to beat the heat in India at least. And yes,every country does have their restrictions, especially at the spiritual places, and India is no different. In any case, Indian traditionals are unbeatably stylish! You guys have brought it out well!! Kudos!! We are two like your (girl and boy) so we love the fact that you covered the outfits for both genres. The photos make everything so easy so you can create an opinion, thanks!! This is definitely super helpful, since it’s hard to ever find a guide explaining everything so you don’t make a mistake. It’s all about respect tho. I absolutely love your OOTD photos here! I love that you chose bold colors even while keeping a modest type of clothing. Who says one cannot be fashionable even with reserved clothing?! I always take the culture of the place I am going to in consideration when I pack my clothes. The last thing that I want is to attract unnecessary attention to myself or offend the locals.